Nike’s N7 fund is an organization that supports Native American and Aboriginal communities, through sport and physical activity programming for youth can apply their skills and lead a successful career path. This year’s contribution will see the Air Jordan 8 completely branded in N7 details. A recent report, from fellow sneaker leaker @zsneakerheadz, says this year’s N7 lineup will feature Pendleton materials and if you’re familiar with Pendleton than you are aware it is one of Nike’s most celebrated seasonal patterns that graced the covers of the Air Max 90, Air Mowabb and many more on NikeiD. 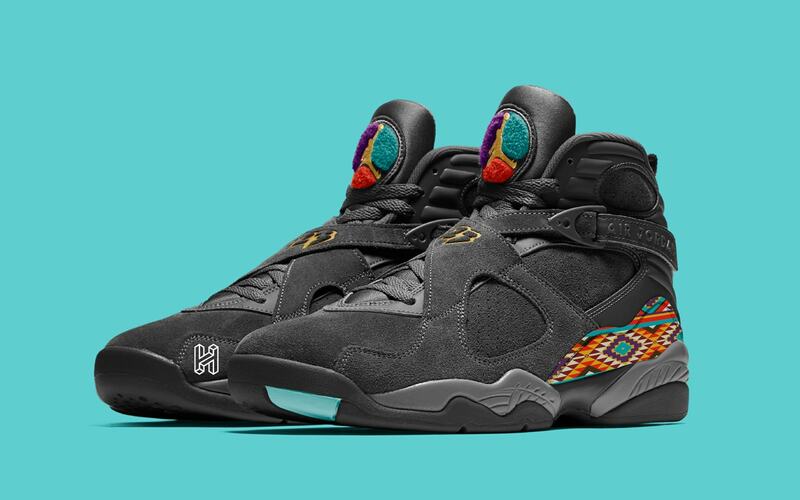 The Air Jordan 8 is said to feature similar Pendleton patterns with a mix of Thunder Grey/Light-Graphite-Gold Suede-Black. Below is a mockup from the House of Heat of what to expect the Air Jordan 8 N7 to look like, the photo is only a photoshop render and is subject to change slightly or completely as more details surface. However, there is a confirmed release date for the shoe, that is currently in the November 7th slot.